Are you looking for March 2020 Florida flights? Fares are released 11 months before departure, but we provide advance rates for Virgin, Norwegian, BA and United. 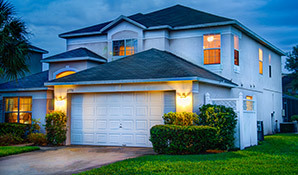 Contact us on 01934 319 851 today for our best price on March 2020 Orlando flights. Add car hire and accommodation for a great-value package rate. How much do you expect to pay for March 2020 Orlando flights? Prices in excess of £575 per seat are common. Follow the advice below and you could achieve fares of £395 per adult and £325 per child. Can you leave early March? The airlines are still in the winter season, so prices will be excellent value – even on direct routes. Looking for a mid-March departure? Prices ease upwards as we get closer to Easter. Book a mid-week flight in advance and you’ll still get an excellent fare. Need to leave late March? A lot of schools break up for Easter around this time and high-season fares apply. If you’re stuck with school holiday dates, Heathrow departures will still be a bargain. Direct flights, on the other hand, are expensive. Book early for the best value. Direct flights up to and including 26th March 2020 will still be excellent value. For further savings, avoid the weekends. Aim to depart on Tuesday or Wednesday for the best value March 2020 Orlando flights. We book with the best quality airlines, including British Airways, United, Norwegian and Virgin Atlantic. So how do we achieve good-value fares? It’s simple – from the moment the flights are released, we monitor prices daily. If you’ve booked with us in advance, we wait for the ideal moment to purchase your ticket. Years of experience allow us to predict when the best fare is achievable. March 2020 Florida flights are released next April. But don’t wait until then. Book now – it gives us plenty of time to buy at the best fare. Most departure dates in March are decent value, even on direct routes. Towards the end of the month, as we edge closer to the Easter holidays, indirect flights from Heathrow might be the most cost-effective option. Flights typically change in Atlanta or Washington, where you’ll clear customs. Overall, the stop adds two or three hours to the journey. Gatwick and Manchester provide direct flights to Florida throughout March 2020. Heathrow offers indirect routes. Glasgow have direct flights on the weekend and indirect flights during the week. If these airports are inconvenient, why not add a connecting flight from your local airport? Inverness, Aberdeen, Belfast, Newquay, Exeter, Isle of Man and Jersey all have convenient connection times. We typically achieve good fares to Orlando International. Occasionally, Tampa Airport (on the west coast of Florida) offers better value. Let us know if you’d like to consider Tampa. Fares are released in April 2019, but our customers have already started booking March 2020 Florida flights. Early bookers are first in the queue when prices drop, so don’t delay – book now. The deposit is just £100 per person – the balance is payable 90 days before departure. For a complete holiday package quote, complete our online enquiry form. Or call us on 01934 319 851 for an instant quote. All of our March 2020 Florida flights and holidays are ABTA and ATOL protected. March is a terrific month for a Florida holiday. The weather is warm and sunny, without the humidity of the summer months. Fly direct to Florida in March 2020 with Virgin or BA. Enjoy two weeks in a luxury Emerald Island villa. Explore Florida in a fully-insured SUV. All for just £895 per person. 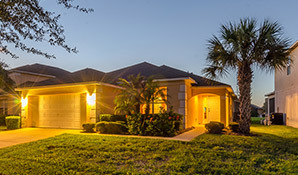 Emerald Island is a prestigious community situated in 300 acres of beautiful conservation wetlands. With world-class shopping, fine-dining and Disney World within 3 miles, it’s ideal for a family holiday.